It is a new technology by which outlook, size, comfort ability & fashion etc properties are changed of a Garment are called Garments Washing. The technology was first developed in 1988. Before this washing was done in Hong Kong, Singapore & some other country . To Develop Softness in Garments. To remove dirty thing from the garments. To remove starch or size material. 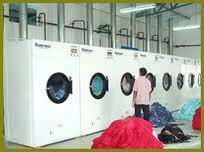 There is Different type of Garments Washing In our country. 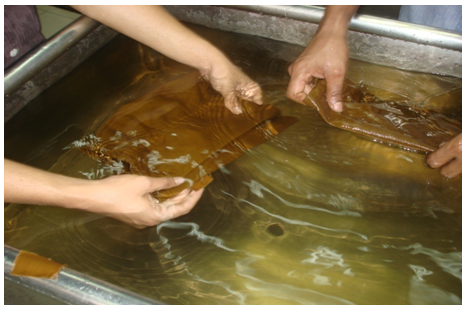 Special affect on Garments can be obtained by the following process Which is known as a Dry Process. Sand Blasting MEC SHOT BLASTING+TM-JM. Neutralizing Agent : Hydro Peroxide, Bisulphate Or Thiosulphate. Pumic stone: those are silica-rich, viscose, high temperature melt products of explosive. Volcanic eruption during ascent & expulsion of earth. These are light weight highly porous, rocky substance which will float on water. Major Pumic Stones Supplies Countries Are Usa, Turkey, Italy, Island, Newzeland, Japan, Indonesia And Philiphine. 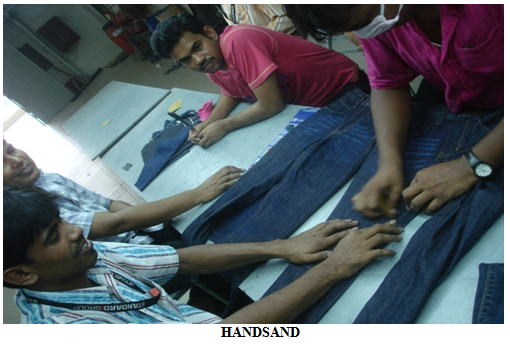 This is one of the important components in the production of stone washed apparels. It is used softer hands. Since the degree of abrasion may vary in different parts of garments, such as trouser-, button slays and seaming parts, a number of natural patterns can be formed. 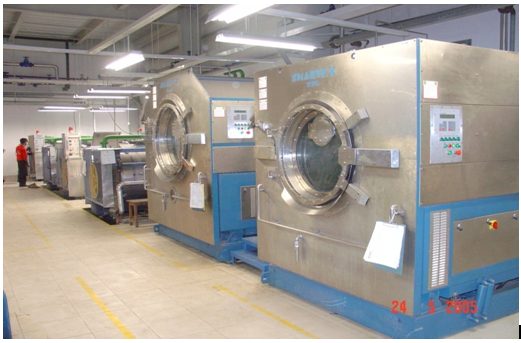 The degree of wash down or used look effect is depends on stone size, stone ratio, liquor ratio, duration of treatment, garments load and garments fabric gsm. Stone size varies from 1cm diameter to 7 cm. Indonesia : Red color, weight. More use for denim, this type of stone size is big, that’s reason there is a possibility to thread brakes. To prevent it needs to make it smaller size. Acid condition enzyme: this is low cost, but risk of degraded. Neutral condition enzyme: this is very costly, but mostly useful and working result is good.